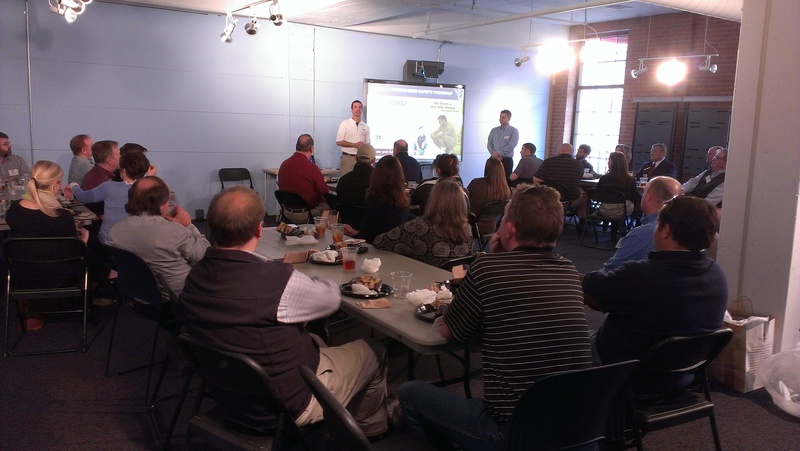 At a recent NC Subcontractors Alliance meet and greet, Bill Lorenzo, pre-construction manager with Balfour Beatty Construction’s Carolina Division, presented things that are trending in North Carolina. The most important is energy sustainability. He showed a chart showing that over the lifetime of a building, only 11% of the cost is related to construction and 85% is the cost of energy to power the building and its systems. It is becoming more accepted that an investment in sustainability saves money over the long run. More and more building owners and developers are requesting their new buildings be energy sustainable. But, they want to do it without all the rules and paperwork involved in the LEED program. The big trend, now, is the movement away from LEED and toward a program called Green Globes. Green Globes is a web based program that began in Canada. The Green Building Initiative acquired the US rights to the program and administers it in the US. A building is awarded points for various attributes, the largest attribute being energy consumption. Upon verification by a third party, the building is awarded 1 to 4 globes. The use of Green Globes substantially reduces the administrative cost of obtaining a certified energy sustainable building. The next thing to come will be Net Zero Sustainable. This is becoming common in California and Balfour Beatty is working on designs for the first one in Charlotte. In Net Zero, the building must produce as much renewable energy over the course of a year as it consumes. The building is connected to the grid and sells surplus energy to the grid on sunny days and buys energy from the grid on cloudy days, with the goal of achieving a net zero energy consumption. This is more challenging on the east coast because there are more cloudy days in the Carolinas than in California. We will have to wait and see how that works out. The bottom line is that subcontractors need to be more aware of sustainability. It is not just a government mandate now, it is a trend coming from building owners and developers.